Virtually all things in our world seem to be chiral in nature. For instance, our hands as human beings are known to be mirror images, and this is real. The problem however comes when anyone tries to transplant one of the hands to another. Apart from the human hands that are chiral, some molecules such as amino acids and DNA are. Similarly, light manifests chirality. In its chiral tendency, its oscillating direction of polarisation (electromagnetic wave) rotates either clockwise or anti-clockwise. The light reflected by the materials of molecules (chiral) depends largely on the nature of such chirality. Also, Aspartame, the common artificial sweetener is chiral in nature. While an aspect of the molecule (its chirality) can be sweet, you will be surprised to know that the other one is bitter. Virtually all drugs are chiral in nature. It will be an added advantage to work towards observing and analysing the degree of an object’s chirality; especially in several fields of study. For instance, considering the chirality of Thalidomide molecule, on one hand, it sedates pregnant mothers, while it causes unimaginable birth defects among children on the other hand. The existing equipment discovered to resolve colour and polarisation of the new imaging techniques of chiral needs several additional components; making it expensive and bulky. 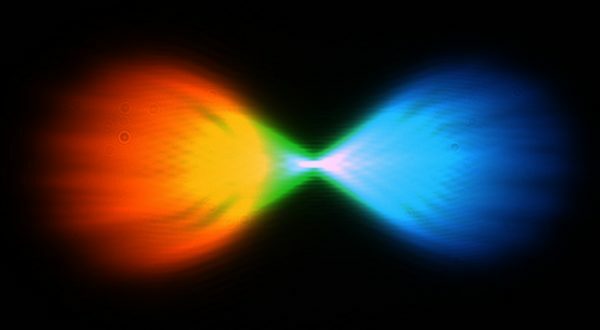 To simplify this, researchers have come up with a flat lens that is ultra thin and which can capture the chirality of an object as well as its color information at the same time. This new equipment functions by sorting light based on the chirality of the chiral lens, which is multispectral after which it develops inside the same view of the camera being used. In the recent past, chiroptical materials or properties could not be probed through all its visible color using a single lens as well as camera without additional optical equipment, but this has been made possible with this lens. To show the potentials in metalenses, this group of researchers has made a new discovery in both multifunctional and compact device working to give special capabilities to chiral imaging. This object is made of two types of (TON) titanium oxide nanofins on a glass substrate and gives two opposite chiral images. The effectiveness of this lens has been tested in various ways. For example, the chirality of the exoskeleton of a bettle was imaged. Though effective in displaying the chirality of an object, it can also be used with objects that are not chiral in nature and to indicate when it is not, even if it has the potential to be. A good example is when it was used with a coin. One amazing thing about this lens is its size that is thinner than normal hair (3mm in diameter). The advantage of this is the ease of integration into all portable devices. The good side of this discovery is that ultra thin surfaces like the lens have the capacity to form image and also resolve associated spectral and polarisation details of even a specimen that can be classified as biological in nature. Next story Where next for television?